When you need a new septic system installed in Lake Stevens, Washington, you want the expertise of a highly experienced team of septic professionals. Superior Septic Services offers Lake Stevens Septic Installation as part of our overall septic services. If you need a new or replacement system, trust the team with nearly a quarter of a century of experience. Concerns over public health and pollution have led to increasingly stringent regulations for septic system installations. For this reason, you need a team to perform the installation that knows these regulations inside and out. We have studied the laws in Lake Stevens and know how to install systems that are fully complaint with all of these regulations. We also have the benefit of experience to back our services. Septic systems may not seem like the place for the latest technological breakthroughs, but they do utilize some technology. We know how to install systems that have the latest technological innovations, so you receive the best possible service from your system. We also are familiar with all major septic systems and septic products, so we can install exactly what you need and want. In addition to providing the latest technology in our fully complaint septic installation services, we also have a commitment to customer service that is above par. We know that only through completely satisfying our customers can our business continue to grow and thrive. That is why we will keep you informed throughout the installation process, answer any questions you have and back our work with a low price guaranteed. In the end, we feel that your satisfaction is the mark of a job well done. 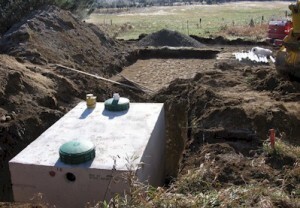 Septic installation is a job to take seriously, and it is one best left to the experts. At Superior Septic Services, LLC, we have assembled a team of experts who are ready to provide your property with the septic products it needs. Call today for a free quote, and be sure to ask about our current specials on septic installation 425-905-2485.